Searching for homes or condos online can be a bit tricky if you're not using the map feature. 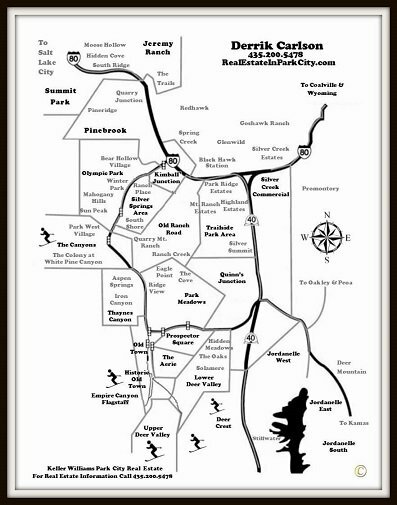 Above you'll see a map that outlines the areas of Park City, Utah. If you are looking at a property on our website you will see "AREA" in the Community Information section it will correlate to the map above. If you are having trouble locating a property feel free to call, email or text for additional information on a property for sale in Park City, Utah.